It's difficult to hide from an enemy when you're inside an enormous ship, or part of a vast Naval fleet. And yet many ships in history have been well-camouflaged, despite a distinct lack of cloaking devices. Here are some of the most amazing examples. Between the 16th and the late-19th centuries some ships might had cannon ports hidden by painted canvas, or extra cannon ports painted. In the Civil War and later the German and French ships were being painted gray. It had an experimental "brickwork" camouflage scheme in 1892. 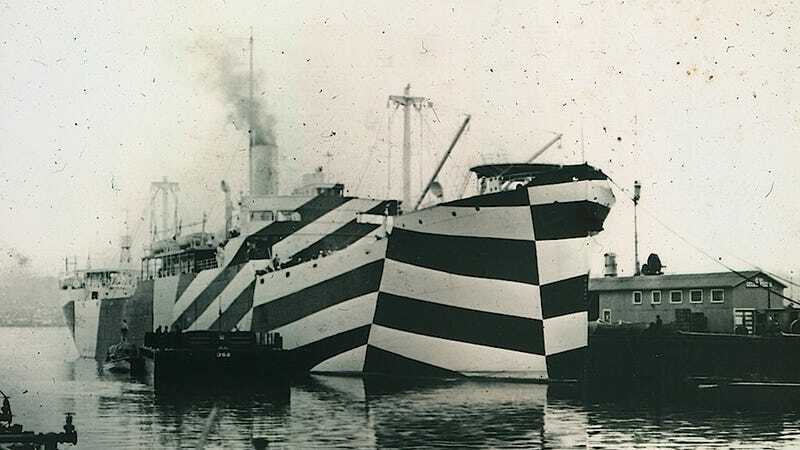 In 1917 the British Navy added a multi-coloured camouflage to make the ship more difficult to identify and target. The RMS Olympic was known as "Old Reliable", it would carry over 200,000 troops to and from the fighting fronts during WWI. It had a zebra camouflage in 1916 for a short time. It was the first ship built for service as a minelayer and the first warship to use diesel engines. It had a false bow wave camouflage.